With up to four tours and 27 stops, there is plenty to see and do for the whole family! Make use of the 3-for-1 Kids’ Special on Sunday, 19 June 2016. This special entitles a maximum of two children under 18 to ride for free with every one-day adult bus ticket bought. 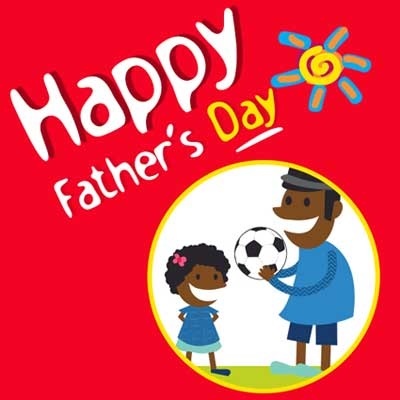 To add to the experience, Caltex will give dads (with a valid 3-for-1 Kids’ Special ticket) starting their journey from the V&A Waterfront (stop 1), a special Father’s Day gift (while stocks last). Bond with your dad at The Springbok Experience rugby museum at stop 1 or enjoy a 360-degree view of the city as you make your way to the summit of Table Mountain (stop 7) by cable car. The Cableway also has a three-for-one Kidz Season special. Pack a picnic basket filled with your dad’s favourite food and feast on the lawns of Kirstenbosch National Botanical Garden (stop 20) or grab a box of fish and chips to enjoy at Mariner’s Wharf (stop 24) in Hout Bay. And if dad is fond of fine wines, the Purple Wine Tour takes you to three Constantia Valley wine farms. Whatever your dad’s preference, make it a day to remember with the double-decker red bus or Harbour Cruise (3-for-1 Kids’ special available, too). And don’t forget to check the back of your ticket for other great discounts offered at various other stops – for both young and old. “City Sightseeing Cape Town wants to pay tribute to all dads by making this Father's Day special. So, moms, let’s make an effort to keep dads and the kids entertained. And if you’re among the first people to hop on at the V&A Waterfront, Caltex will sort out the gift,” says City Sightseeing sales and marketing manager Mandi Jarman. Make Father's Day 2016 a memorable one with help from City Sightseeing. Now there’s no excuse not to spoil your dad and show how much you appreciate him on 19 June. Press release supplied by City Sightseeing Cape Town.